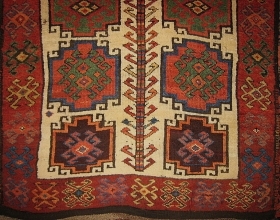 Specializing mainly in esoteric tribal pieces and collectable rugs. 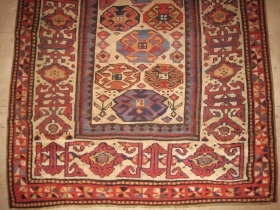 In addition to his rug activities Shiv works as a university instructor in mathematics. 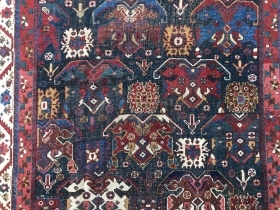 He has been a presence in the New York and international rug scene for over a decade and has lectured at several Oriental rug societies about his theories of spatial articulation in tribal and classical rugs and carpets. 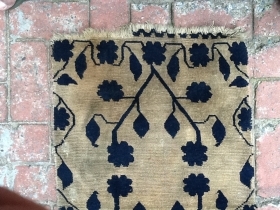 Shiv is one with the universe. 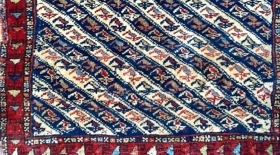 He is the missing pile of one million worn Baluchies. 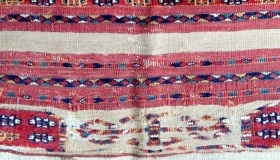 active since October, 16, 2006. 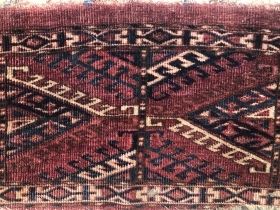 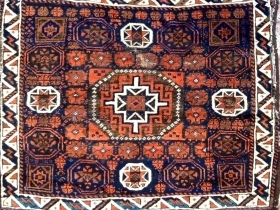 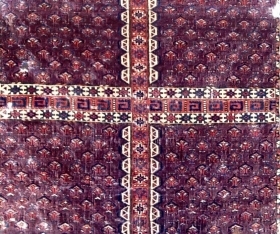 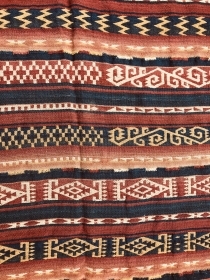 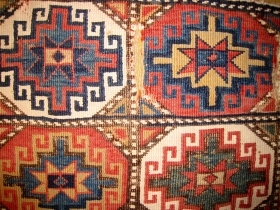 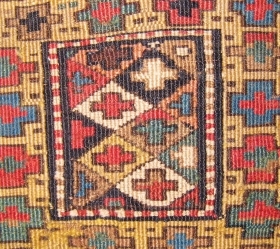 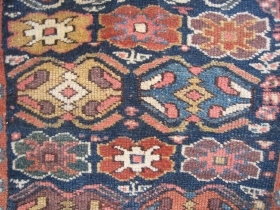 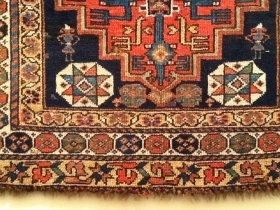 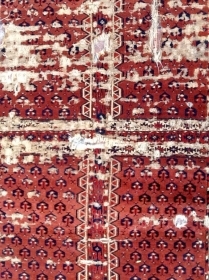 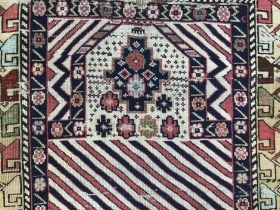 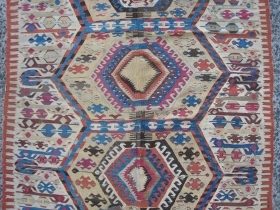 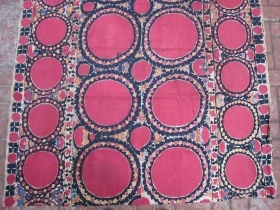 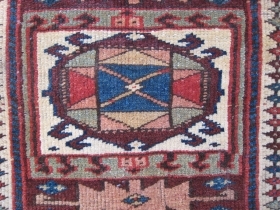 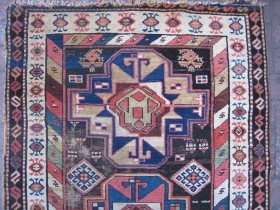 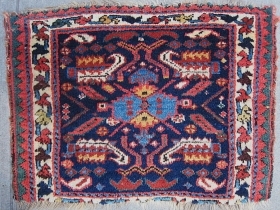 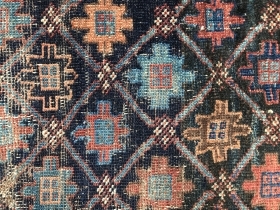 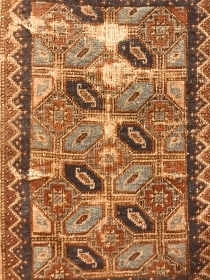 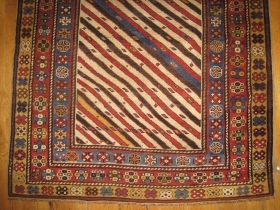 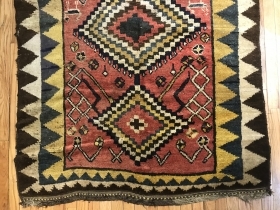 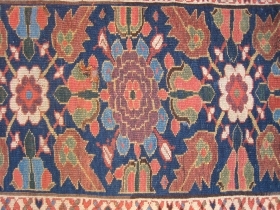 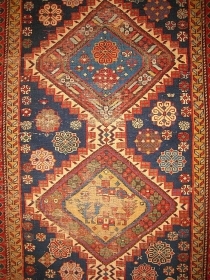 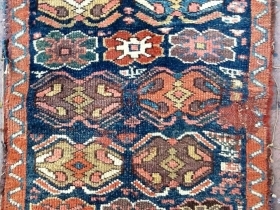 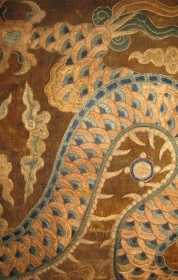 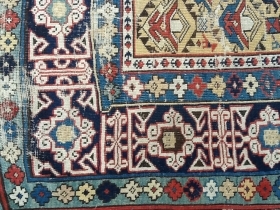 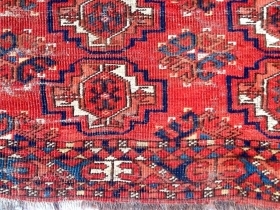 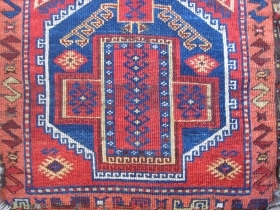 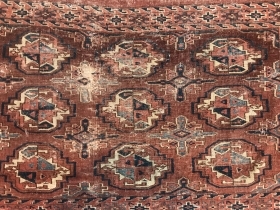 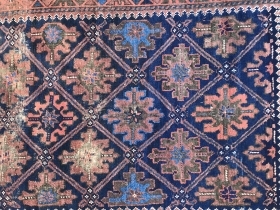 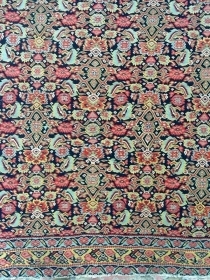 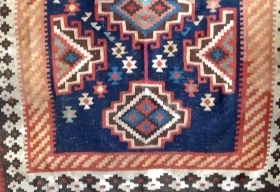 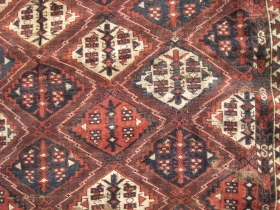 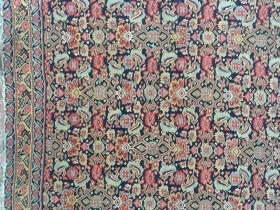 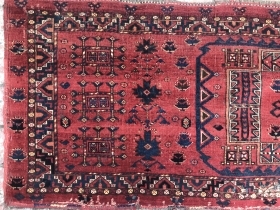 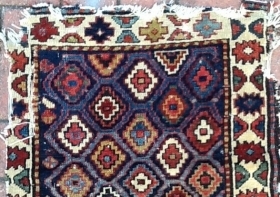 Gabbeh type longish rug. 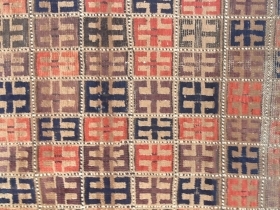 Some zig zags. 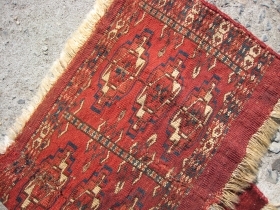 As found, sporadic repairs. 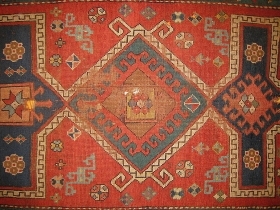 Yastik with Octagons, mounted on a frame. 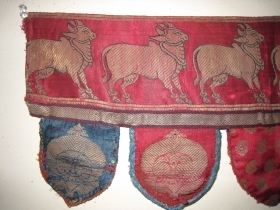 Sumakh with cotton whites, mounted . 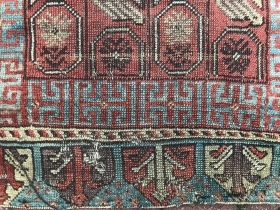 a Veramin bagface fragment with fine weave, articulated figures with arms akimbo. 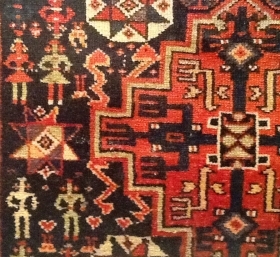 Floating red hearts in field among other cool figures. 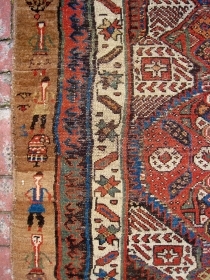 Fine Versmin bagface with figures, arms akimbo. 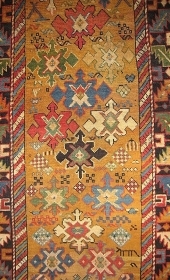 Old Kuba Frag (Cut 'n Shut ) on yellow Ground.